A polishing pad with medium density hardness and waffle shape. The durable reticulated foam has an excellent elasticity. 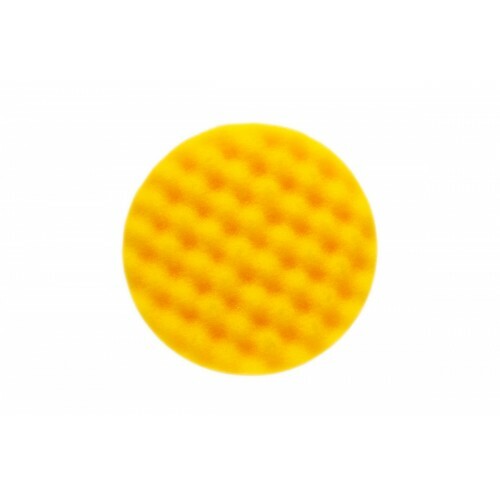 The waffle shape has an optimised pattern which improves the cutting performance and reduces the surface temperature during the polishing process. The pad is designed to be used in combination with Mirka Polishing Compounds, for both cutting with Polarshine 15 and polishing with Polarshine 10 and 8. The foam pad is suitable for all kinds of polishing processes: paintwork in ART, Marine and Wood sectors as well as Vehicle and Tier 1.